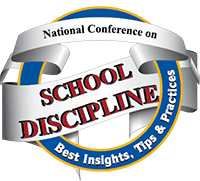 Held at the Caribe Royale March 26-29, 2020, the Innovative Schools Summit Orlando includes the conferences on: School Discipline, School Climate & Culture, Innovative Teaching Strategies Conference, and the Boy Brains & Engagement Conference. The Summit features a great lineup of award-winning and nationally recognized speakers. This expert lineup of presenters draws upon their years of experience and research to provide proven strategies that work. Please continue to check this page as information for the 2020 Innovative Schools Summit Orlando will be added as it becomes available. The 9th Annual Counseling Strategies & Resources is being held in Orlando, and brings together well-known featured presenters. This conference will also feature best practices from educators and other professionals working with youth. Some programs will be research-tested, while others will be promising, innovative approaches created by practicing professionals to help them better connect with different types of students. Guests should make individual reservations by calling the hotel at (407) 238-8000 or by clicking the "Book A Room" button. Guests are responsible for all charges at a rate of $189 per night for singles and doubles, plus applicable state & local taxes and fees. Please Note: Pre-Conference Sessions for the Innovative Schools Summit Orlando will held March 26 & 27. The main Summit will begin on March 27th at 12:00 pm. Please continue to check this page as the Agenda for the Innovative School Summit Orlando 2020 will be updated as the Summit date approaches.